I know we are all very excited about the extra sunlight after 5pm as the first day of spring is fast approaching this week. Daylight savings also starts the time of year when more homes come onto the market in our state. Our landscaping efforts take a while to get going in the spring, so our yards can seem a little dull and barren to say the least. If you're like me, and live on a dirt road, the exterior of your home may need a power wash and I guess...the windows will need to be dealt with . And mud. 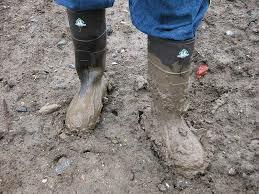 Yes, we're going to have lots of mud in the coming weeks. Daylight Savings + Spring + Vermont = MUD SEASON! If your home is listed for sale in the early weeks of spring as many sellers do to get the jump on the buying season, here's a few tips you can consider to help stage that home even when spring really hasn't quite sprung yet outside! Have a small photo album available for buyers to view that shows your home in the BEST of all seasons. Include pictures of flower beds, a front shot of the home with GREEN grass in front, and maybe a nice foliage and snow shot. Almost everyone takes their shoes off when viewing a home no matter what the season - it's just good manners - but when boots look like this just from walking from the car to the house, provide a place OUTSIDE your entry way for these boots to stay during the showing with maybe a courteous note. Fresh flowers. Nothing says spring like a little bouquet of tulips. They can really add a cheery statement to an entryway or kitchen area. Making cleaning the windows your first spring cleaning priority. I'm sure you're already keeping the house tidy because you want to sell it, but postpone cleaning out the closet....clean the dreaded windows first. It makes such a huge difference when buyers can gaze out the window and actually see what's outside. 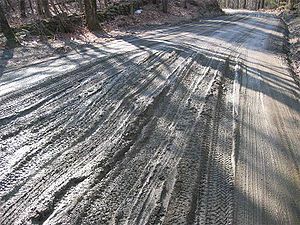 If you live in a rural area and have a gravel/dirt driveway, keep an eye on those ruts. Sometimes a good steel rake can help even things out before a full grading is necessary. And for those big ruts, keep a bag or two of gravel handy. Property Inspections - A MUST! People buy homes year around, but here in Vermont, we do see a surge of purchasesbetween April and October when the weather is more favorable. As we are about to enter into this year's buying season, I would like to give all buyers out there some important advice- Get a Property Inspection! 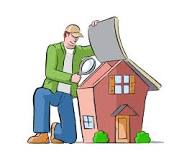 A property inspectionoccurs after a contract has been established andthe purchaserhires a third party inspector whowill review many ofthe home'smajor attributes. This inspection is usually conducted within the first twoweeksafter an offer is accepted. In most transactions, this property inspection is written as a contingency, so that the purchasers must be satisfied with the inspection results before proceeding with the transaction. The inspection may include, but is not limited to: the roof, foundation, heating, plumbing, water, septic, electrical, structural, mechanical, flues & chimneys and other major components together with all appliances included in the sale of the subject property. The inspector may not however do invasive inspections such as drill holes, take off siding or cause damage to the property in any way. A purchaser may choose any inspector he or she wishes as long as the inspector is not related to the purchaser, but as a convenience here is a Partial List of Vermont Inspectors. Occasionally I will have clients or customers that elect not to have a property inspection. In most of these cases, the purchaser is an investor, purchasing a home "AS IS" and will waive a property inspection in lieu of negotiating a more aggressive purchase price. But keep in mind, the property inspection is your only chance to "kick the wheels" of your new home before closing! It's better to find out what's wrong with your new home BEFORE you own it and have no recourse.